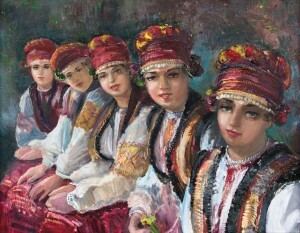 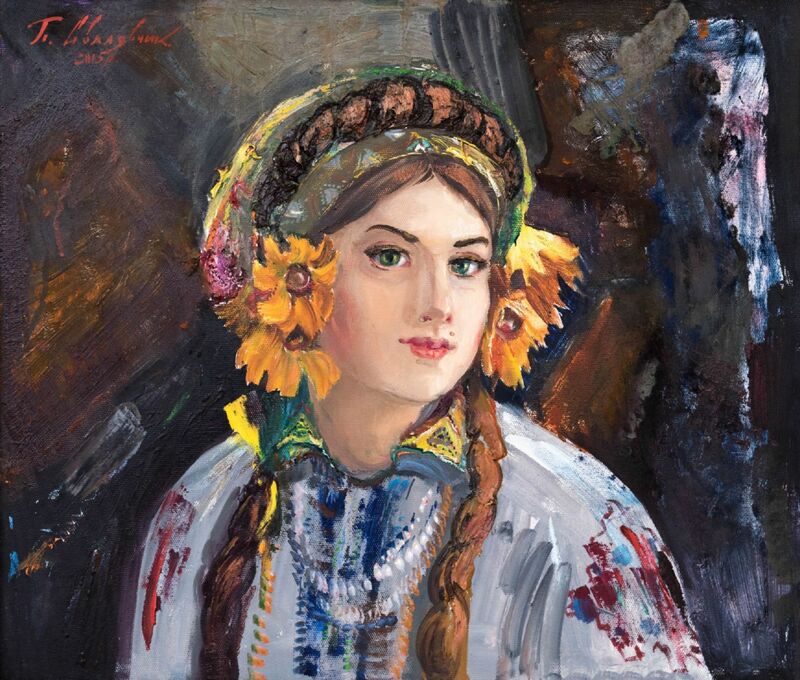 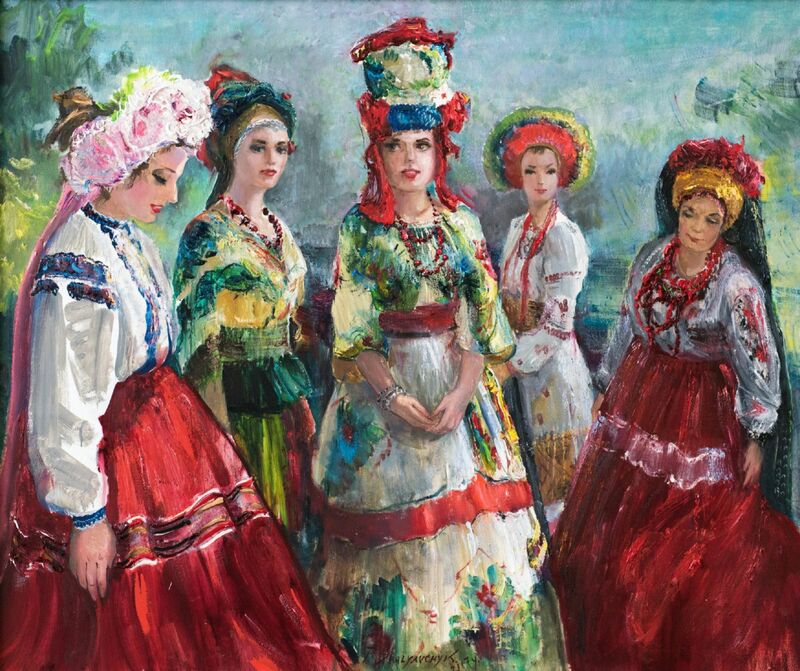 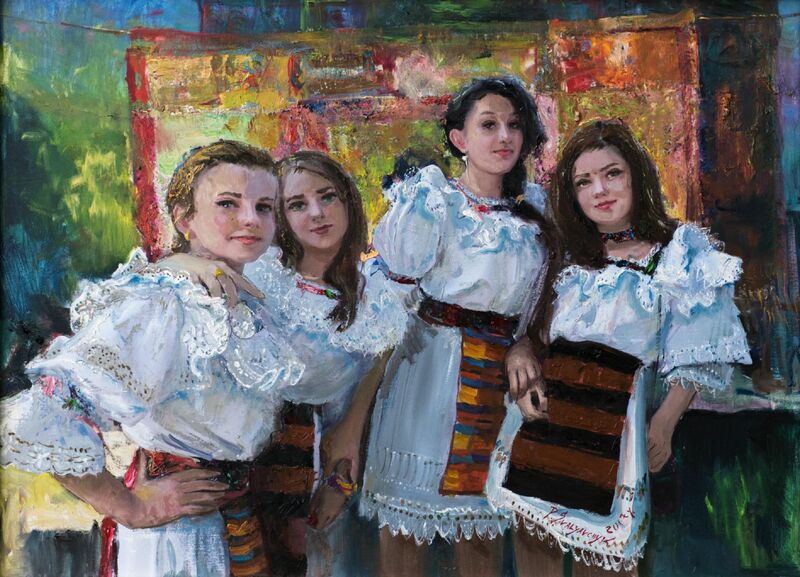 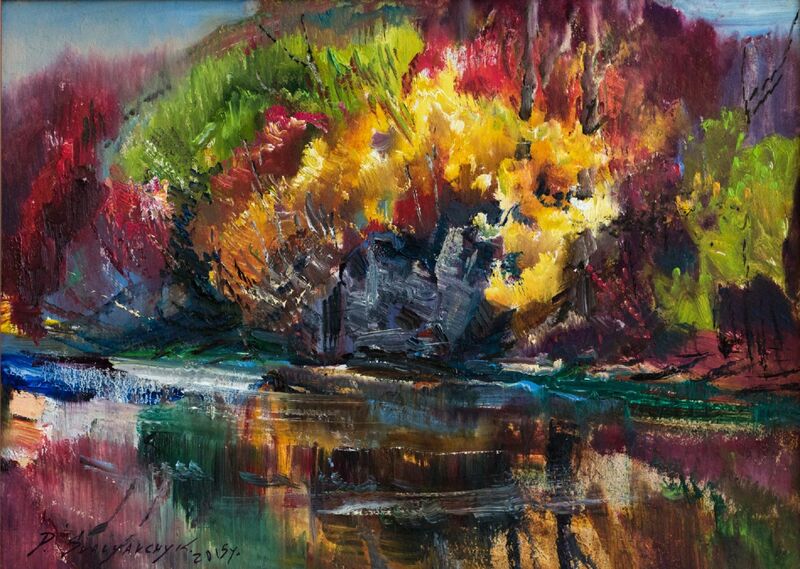 Personal exhibition of the painter, member of the National Union of Artists of Ukraine Petro Svaliavchyk was opened on May 26, 2017 in the Transcarpathian Regional Museum of Folk Architecture and Life. 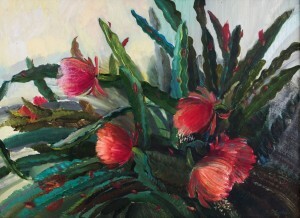 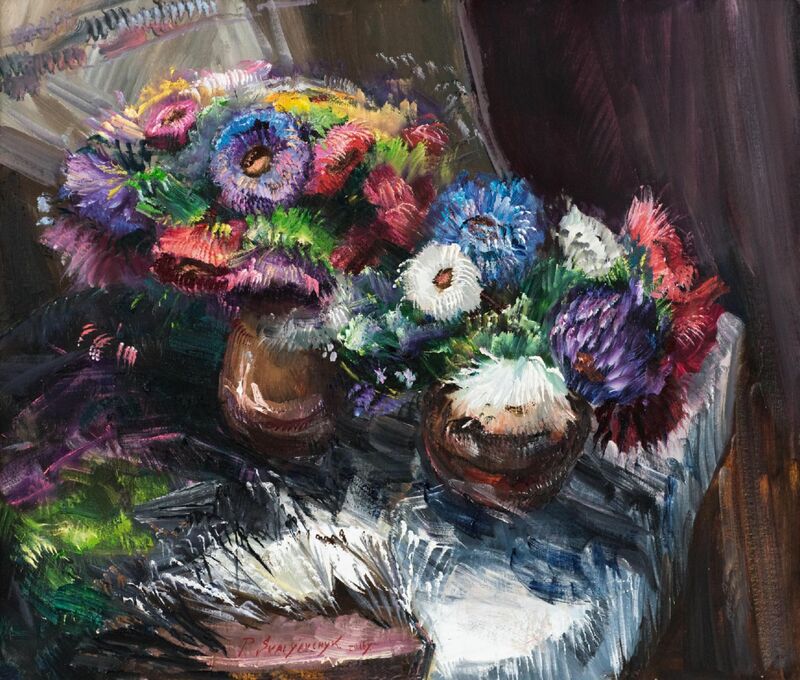 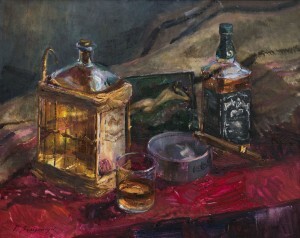 The artist presented more than 40 works, painted mostly over the past few years. 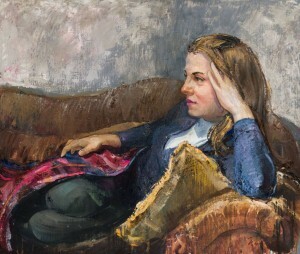 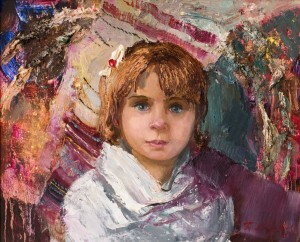 A significant place at the exhibition is occupied by portraits. 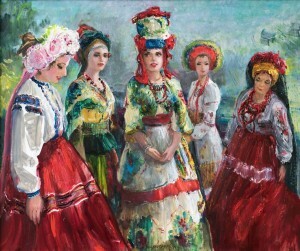 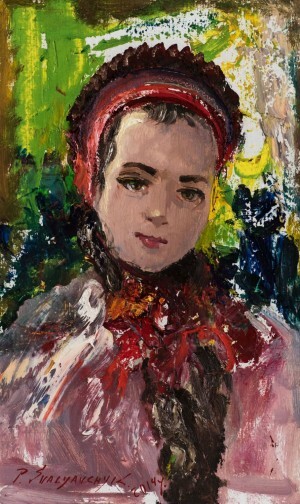 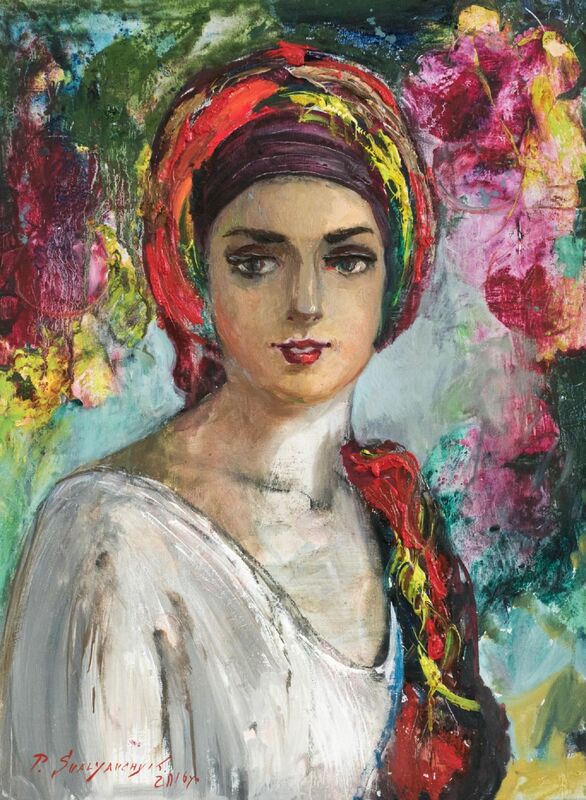 Among many works, an image of a woman attracts and immediately captivates the romantic and elegant: "Women’s portrait", "Yuliia", "Portrait of the wife", "Sisters". 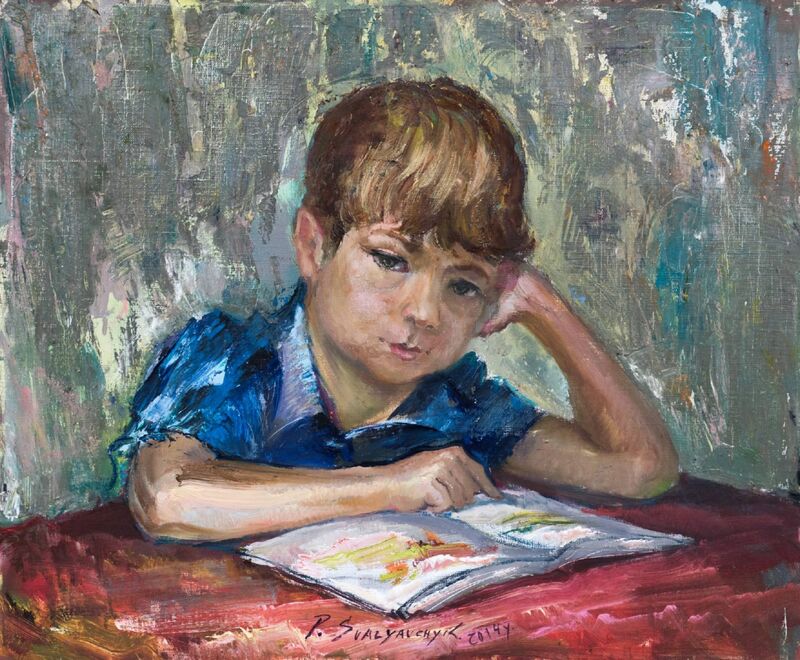 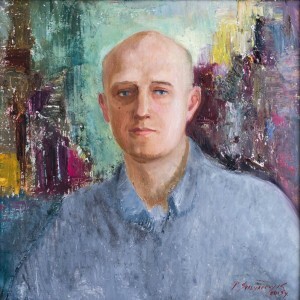 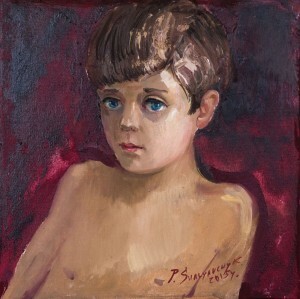 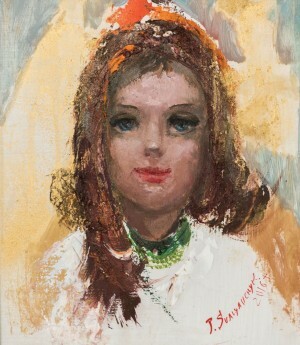 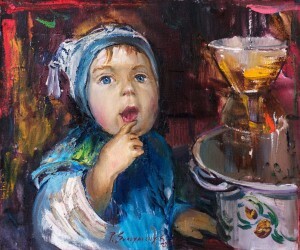 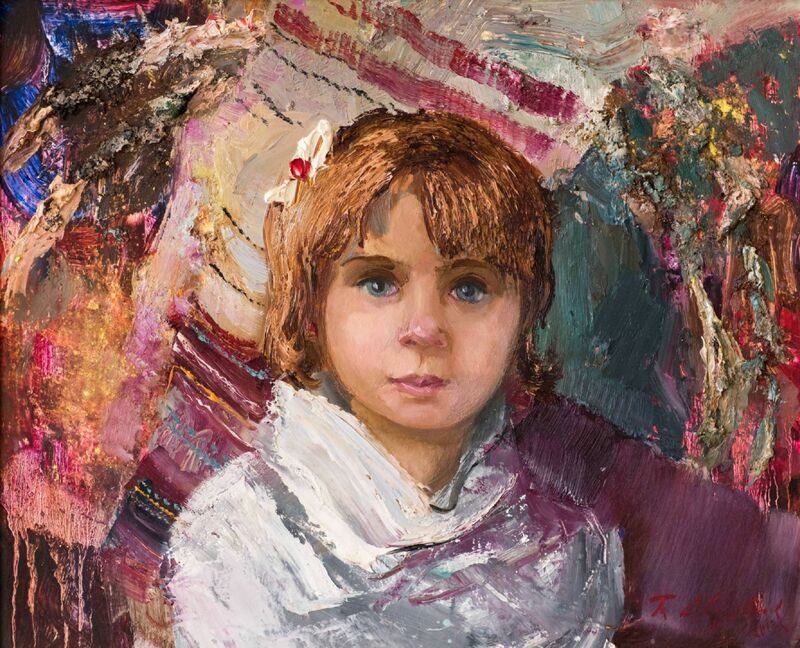 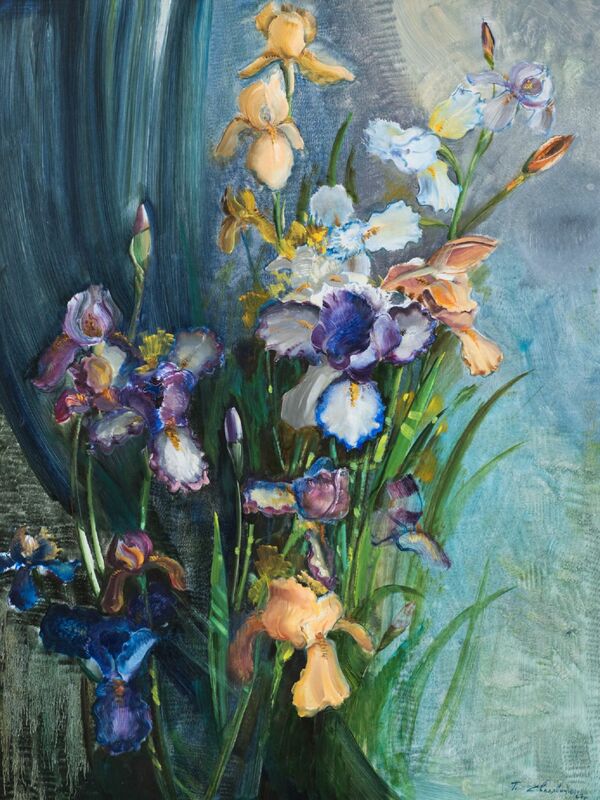 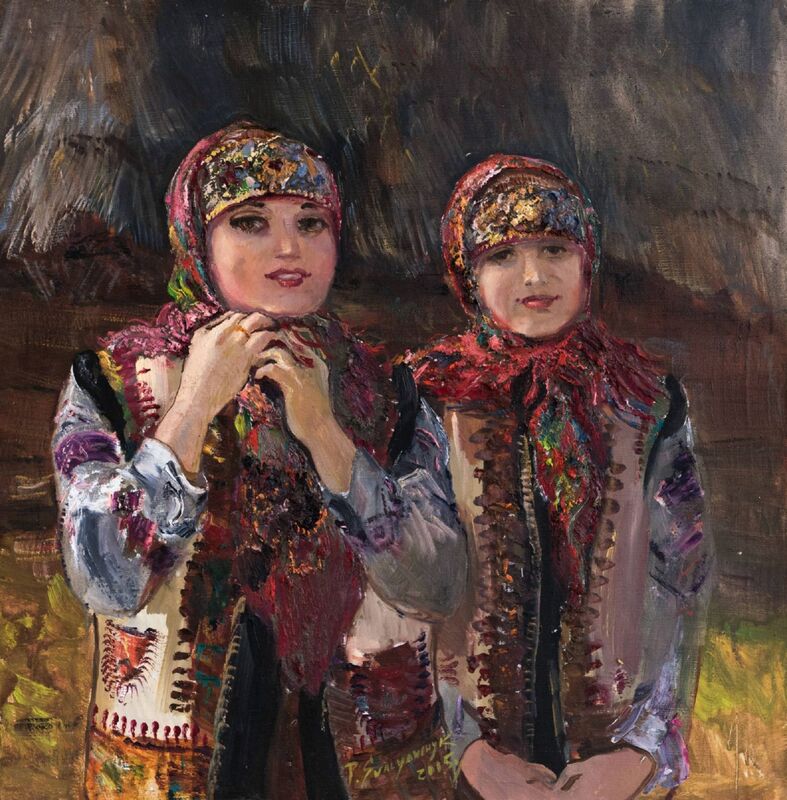 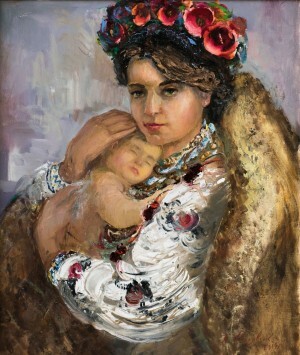 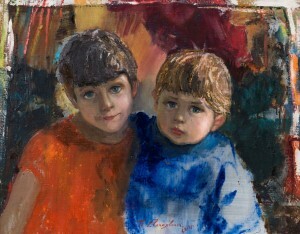 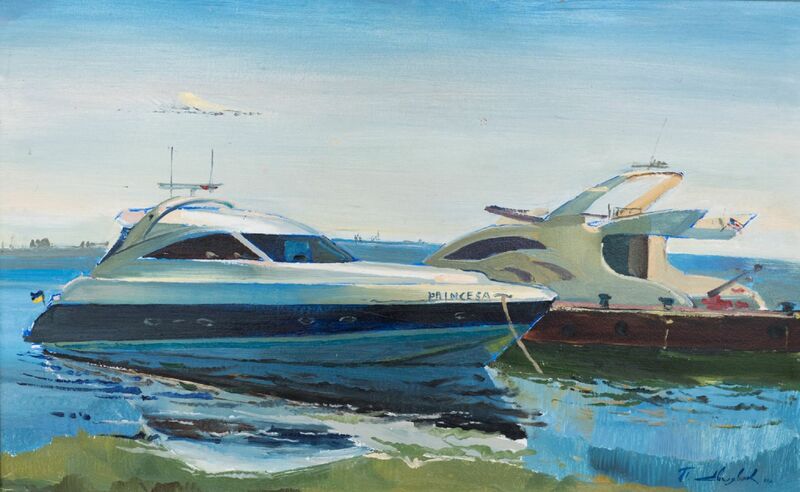 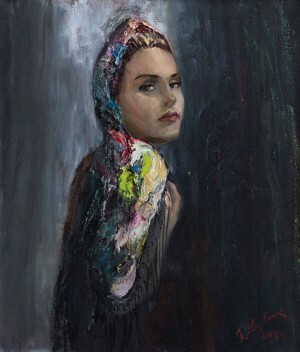 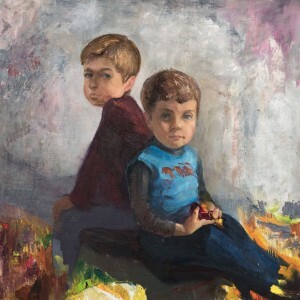 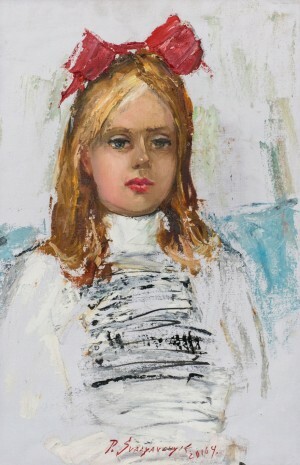 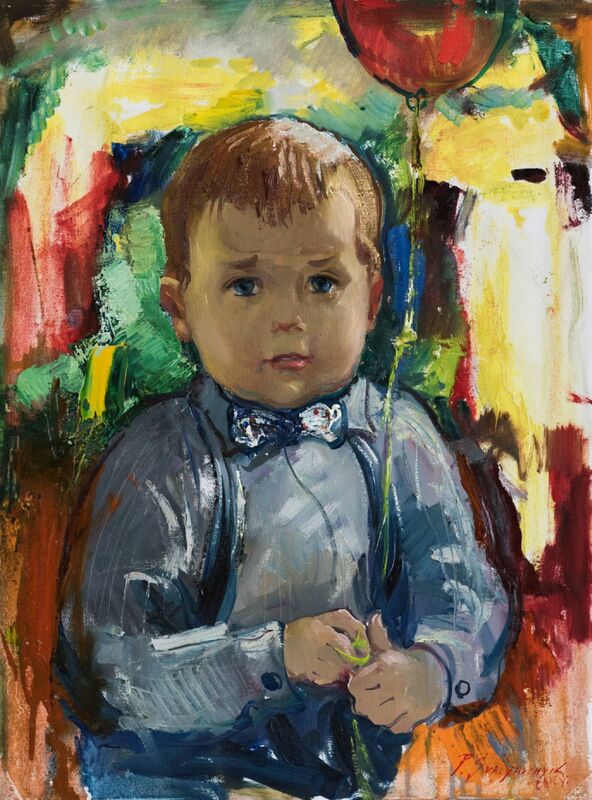 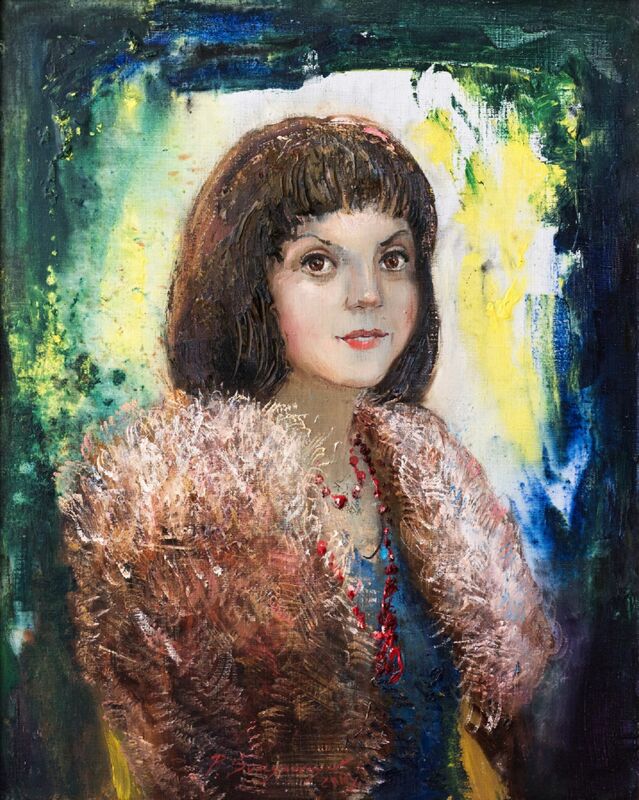 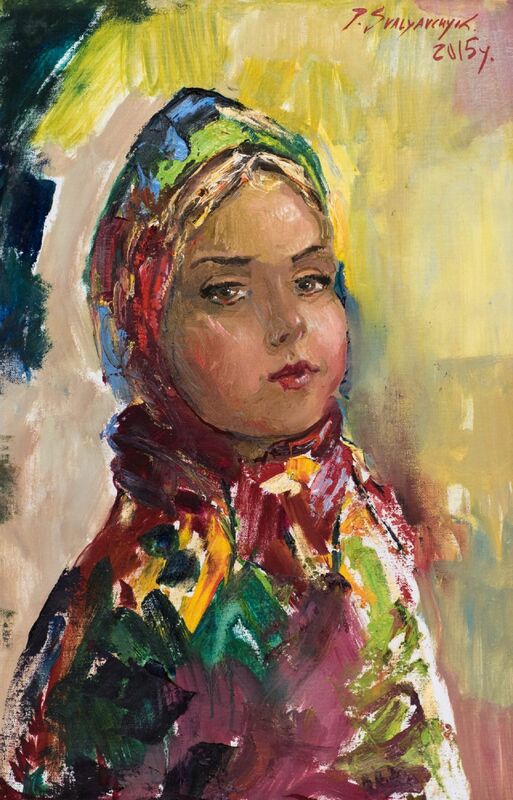 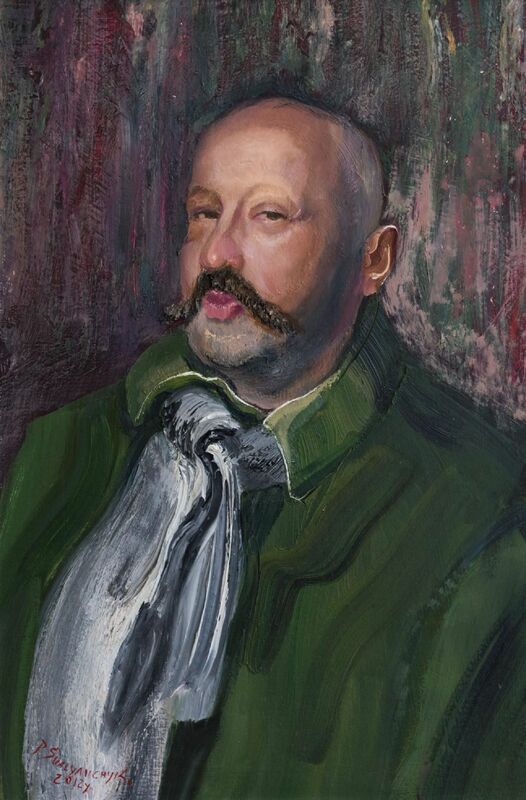 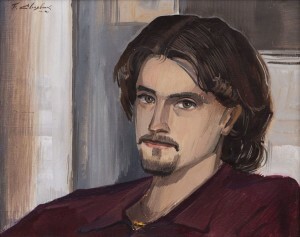 The artist has many portraits of children, he depicts them with special love: "Tetiana", "Sofiika", "Son Vaska", "Girl’s portait", "Nephew Andrii", "Petryk", "Taster Petryk". 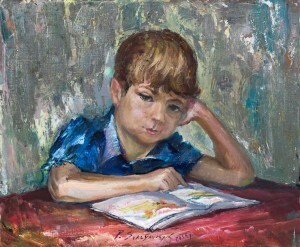 The hero of each picture is depicted with his emotions and feelings, and the master very successfully conveyed them. 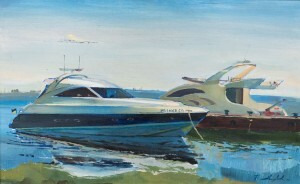 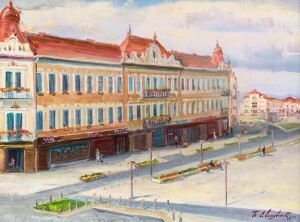 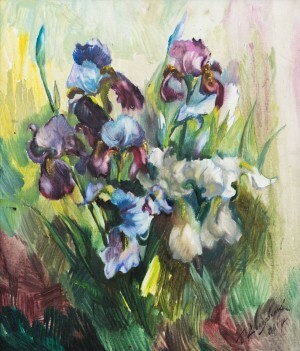 As noted by artists and art critics who were present at the exhibition, the author's love for his native land, the city in which he lives, is felt throughout the exposition. He is interested in a landscape that has its aspects, nature, all the majestic that is around. 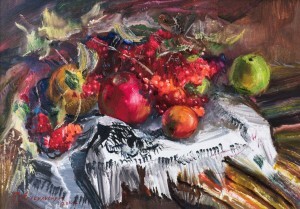 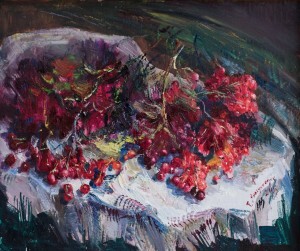 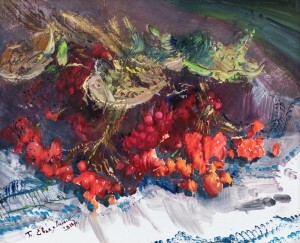 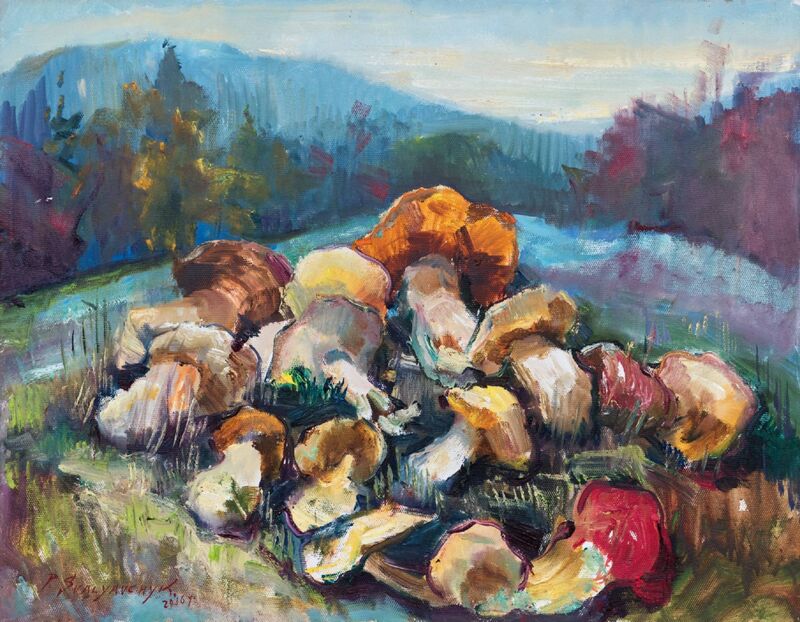 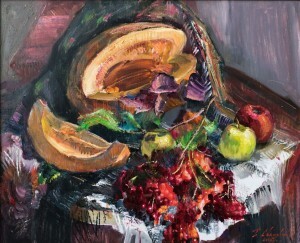 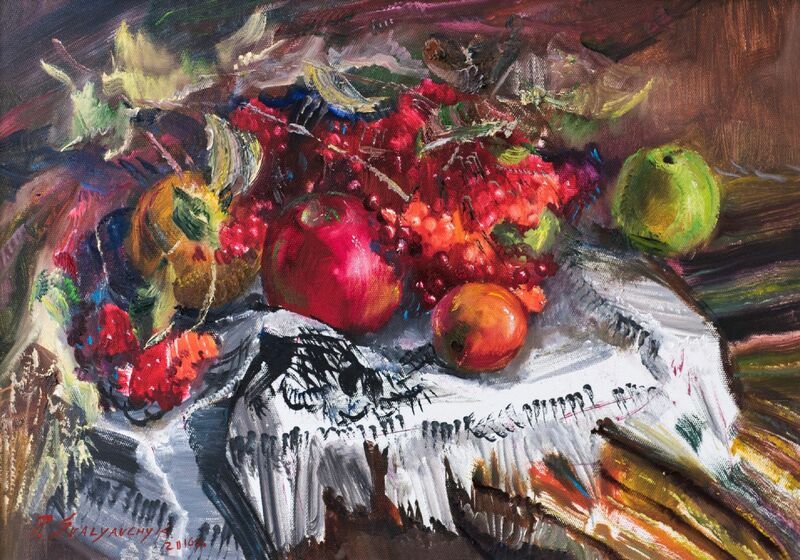 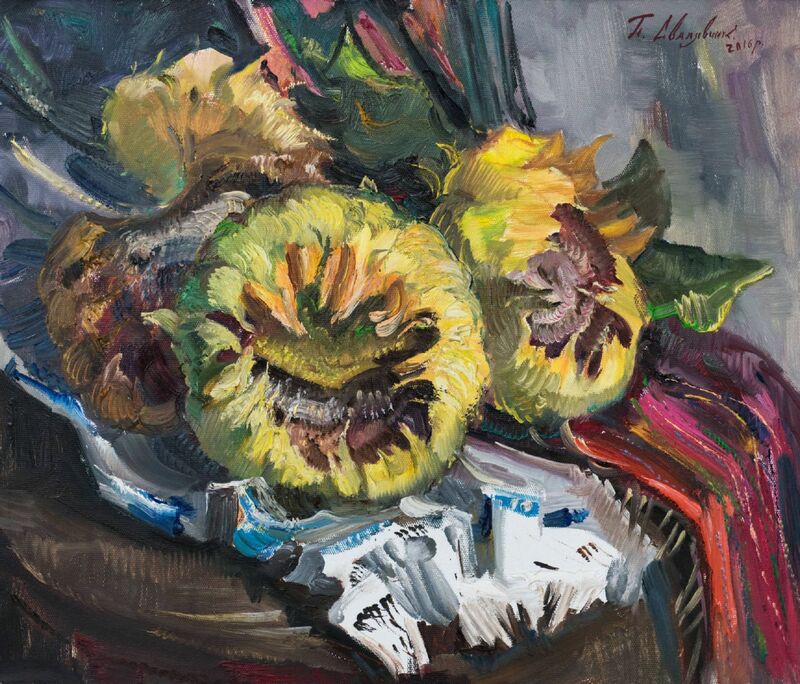 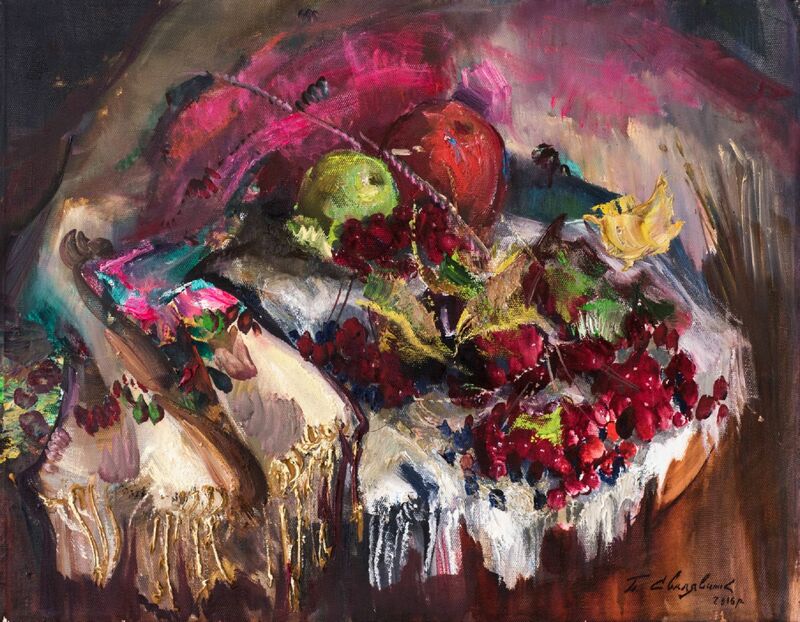 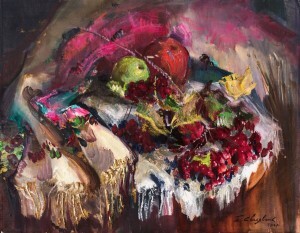 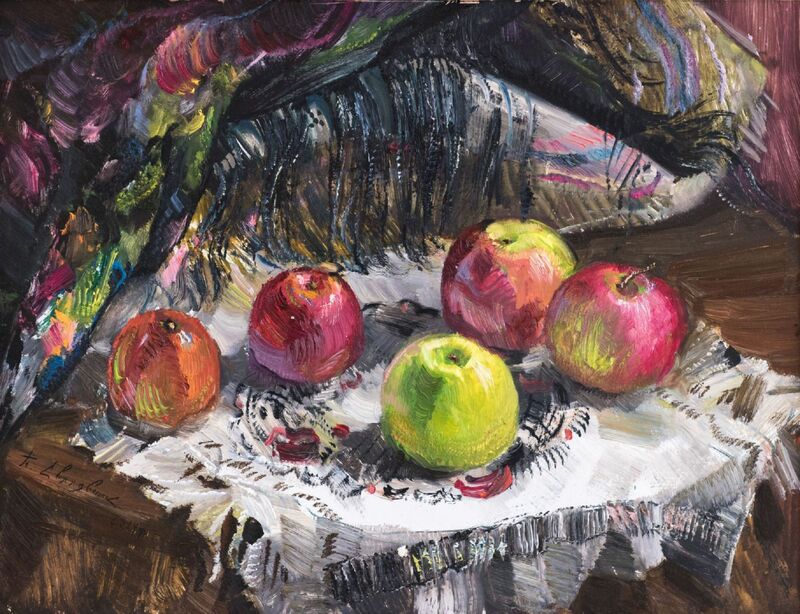 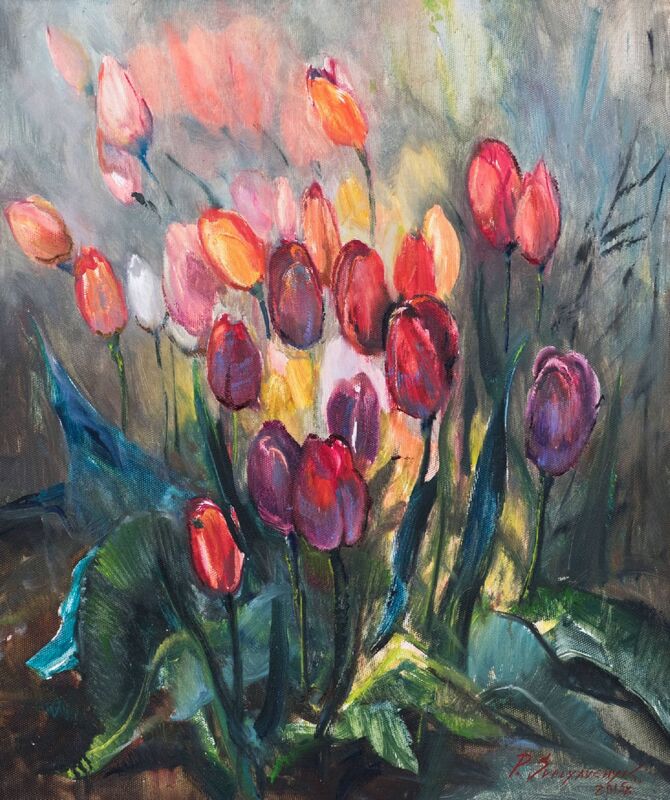 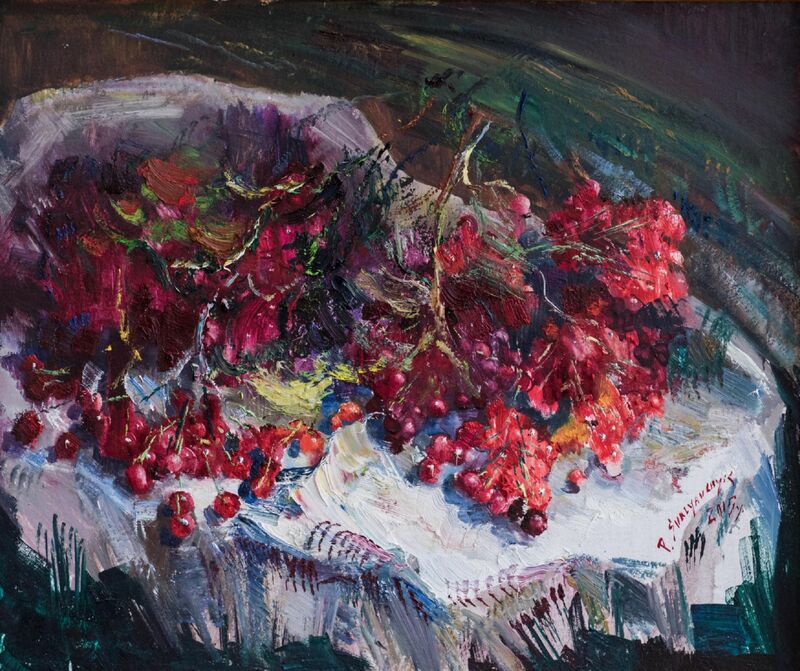 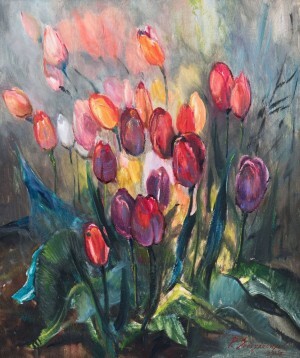 Such are the works "Harvest of mushrooms", "Apples", "Tulips", "Sunflowers". 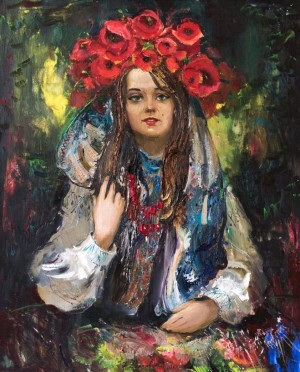 These pictures seem to cure the inner world of a person, they are rich and sincere enough that you feel yourself on the glade with mushrooms or how you breathe in the scent of spring flowers ... 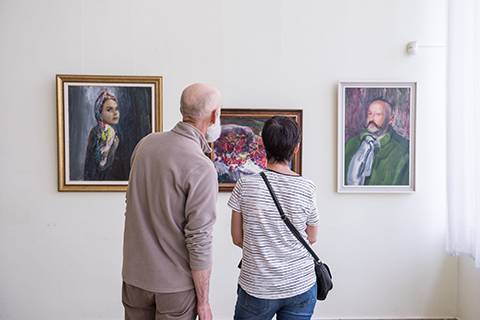 In general, everyone who comes to the exhibition will be able to find something special for himself. 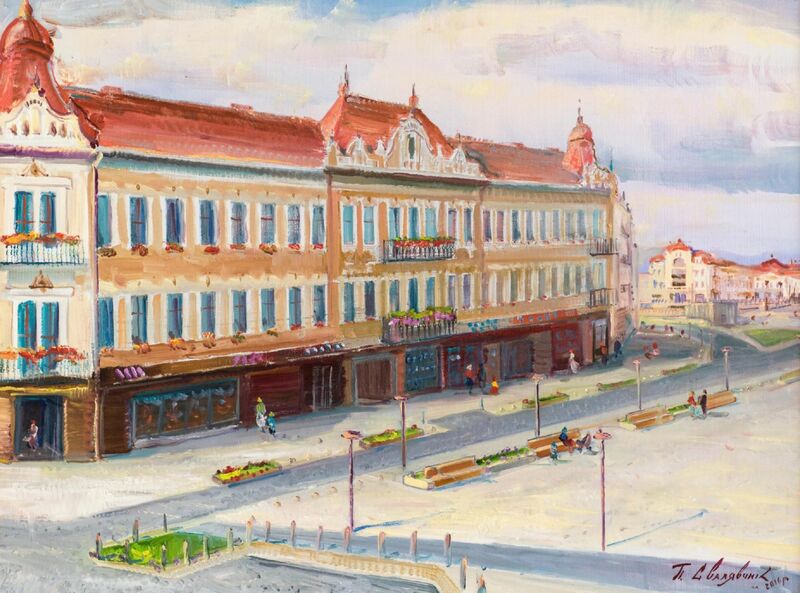 In the Museum of Folk Architecture and Life the exhibition will last for two weeks, then everyone will be able to see the artist's works in the hall-atrium of the building of the Transcarpathian Regional State Administration and Regional Council.